I did make a very tasty and delicious salad the other night for my family though. I've written about the Everything Salad lots of times, and talked about the homemade candied nut, but this version is by far my absolute favorite. 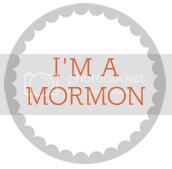 My sister in law Katie told me about it a few weeks ago. It's fantastic! There's also something completely wonderful about FRESH berries this time of year. And when the price isn't too outrageous the salad is even THAT much more wonderful! I love a good hearty meal, but I love that hearty meal when it's balanced out with a fresh yummy salad. And you know if you have the Spring Mix in the fridge at all times, you can eat this salad with it's many reincarnations every night of the week and not get sick of it. A good friend told me years ago, that all you need for a good salad is a fruit, a nut, and a cheese. You can mix all three of those up, and go from there. Apples, berries, pears, dried cranberries or blueberries, or even fresh citrus fruits this time of year are all perfect salad additions. Pecans are my favorite nuts in salads, but we used pistachios, and almonds both in a different salad just this week around the Clawson home. As for cheeses, Blue Cheese is my most favorite, but shredded Asiago or Parmesan are fantastic, as well as shredded Swiss or crumbled Feta. You get the picture. Just use what you have and create interesting combinations. 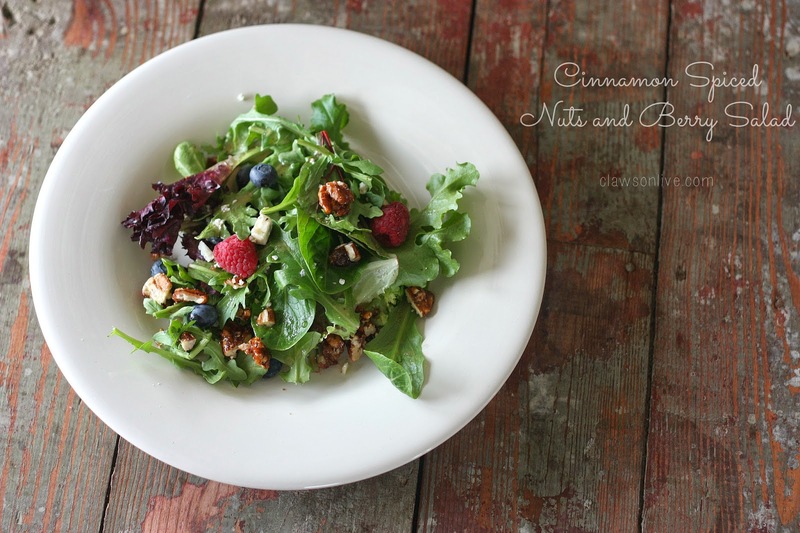 The star of this particular salad though is the Cinnamon Spiced Nuts. You know that smell you enjoy every time you walk into the mall at Christmas time? The hot fresh Cinnamon Almonds? That's what you are going to recreate and put into your salad. Heaven on wheels! When your 13 year old, most picky eating child, can't stop snitching these nuts as they're cooling, you know you have a winner! I've made these nuts lots of different ways. All take about 5-10 minutes of your UNDIVIDED attention. Don't get distracted while you make the nuts, or they will burn on you, and you will have to clean up the worst pan on the planet. The key to these nuts is getting your sugar to melt, and caramelize without burning. Once you figure it out though, you will make them all the time. I actually make a big batch quite frequently and store them in a Ziplock bag in the freezer. Pull them out the next salad you make and they will be perfect. Mix together and pour over salad. You can add variations to this dressing. Add some raspberry jam, or use lime juice, lemon juice or orange juice for some of the vinegar. Improvise. Don't stir until you start to see the sugar melting around the edges of the pan. Gently stir the nuts so they don't burn. Keep stirring until all the sugar melts and turns golden brown. This part goes fast. It takes a while for the sugar to start to melt, but once it does watch it. Poor the nut onto a WELL GREASED pan or plate. Immediately sprinkle with a shot of salt. Let cool and then break up and add to the best salad.